47 entries using 9,627 words stored in 58,292 bytes. 53 comments using 2,872 words stored in 19,350 bytes. 1 static pages using 287 words stored in 1,845 bytes. 2,775 votes stored in 876 bytes. 2 Days Before Trip (3.18). Day 21: I stayed at mt. Unzen (3.15). It's been a while (3.13). It's been a while, sorry (3.13). Day 8: part 2: day 6, 7 and 8: In Hiroshima and after (3.13). Day 10: I'm in kyuushuu now (3.10). Some days after the last post (3.08). I got it ready (3.07). And finally, the Hiroshima update (3.05). Day 3: Long way to go (3.05). I'm back in Kobe! (124). so my exchange year is coming to an end (117). Day 29: Greetings from Takamatsu (109). Day 32: My travels are over soon I guess (108). 2 Days Before Trip (77). Still no pictures, sorry! (69). Some days after the last post (62). A man and his bicycle.. (1,728). I'm back in Kobe! (1,412). 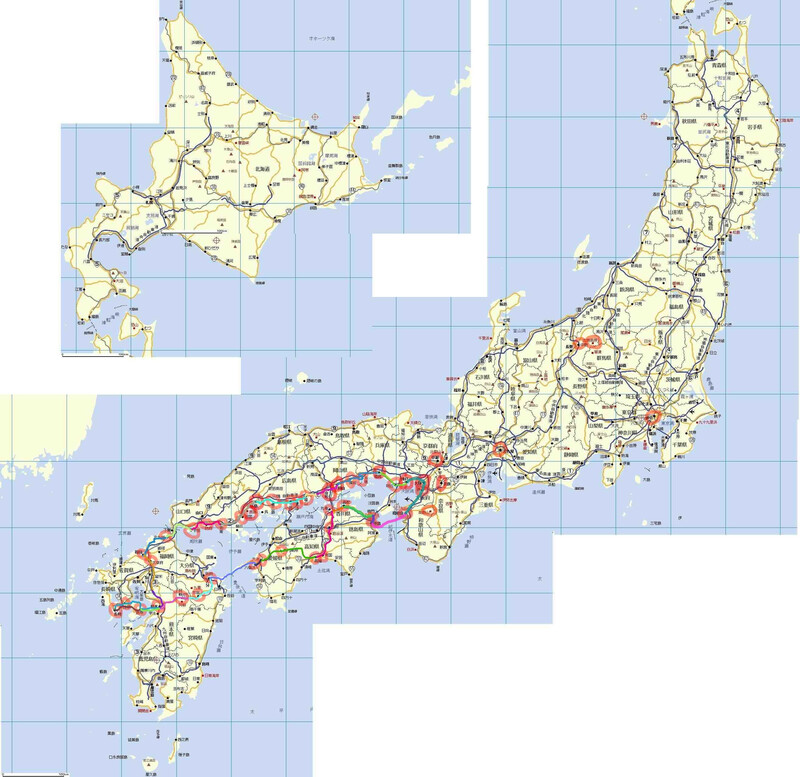 Day 17: I left Kumamoto for Nagasaki (1,074). 2 Days Before Trip (848). And finally, the Hiroshima update (834). Day 10: I'm in kyuushuu now (486). Day 8: part 2: day 6, 7 and 8: In Hiroshima and after (459). And finally, the Hiroshima update (5). Visiting 王子公園動物園 (oojikouen zoo) (5). 2 Days Before Trip (4). Some days after the last post (3). Day 27: In Kouchi (3). Okie dokie, finally I got these pictures uploaded (3). I got a job (3).